What is animation and how is it different from a video? Video is usually recorded using a camera, animation is designed and built using software, we happen to use an array of Adobe products for this animation process. Animation also allows you a lot more flexibility than video. If you want to create an animation about talking bears it’s far easier to create talking bears using animation than to track down talking bears to film using traditional video. In other words, animation allows you more creativity. You can read more on our blog about what the benefits and differences are between animation and live action video. Do we need to meet face-to-face or can we work remotely with you on a process? Since we are a virtual organization, we are very comfortable working remotely with customers on projects. Between FTP uploads, emails, Skype and phone/web conferences, etc…you may feel like we’re working right next to you anyway. This depends on a number of variable but most of our videos tend to be less than 2 minutes. The biggest reason is the longer your video gets, the less engaged your audience is. When it comes to online video, brevity is key and our blog post about online video engagement with statistics shows why. If you REALLY have a lot to say it is usually a better plan to produce multiple videos and let the viewers choose the shorter bits of content they are most interested in. How much does it cost to create an animated marketing video or tutorial? Similar to building a website – all animation projects are custom and so without knowing the variables for your particular project (i.e. length of animation, character animated versus graphic animation, etc.) it’s very difficult to set a specific dollar amount. Generally speaking, most animated videos that are around one minute in length fall somewhere in the range of $5,000 – $7,000 depending on the variables I mentioned. However, we can do some fairly basic slideshow style “videos” for substantially less and some full character animation videos for substantially more. My project requires multiple animated videos, do you offer a discount? Many of the assets created in the first animation can be applied to other videos in the series saving time and reducing the overall cost of the project. Contact us for more information about the cost of your project. We require a 50 percent deposit for your project to get started and the remaining 50 percent is due upon project completion. What’s the turnaround time for an animated video or tutorial? When we quote you we will give you a date range for completion, final project turnaround is decided on the date we receive your initial deposit. The deposit secures your spot in the production schedule. Depending upon production load and timely feedback from our customers, we typically finish production of most single video projects in 6 – 8 weeks. Whether you are ready to go or just beginning to research, we're here to help. Contact us today to schedule a FREE consultation. 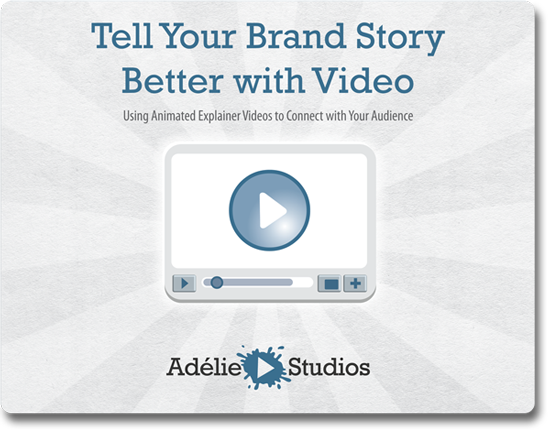 Do you want your explainer video to help your brand connect better with the viewer? Need to know how to build a call to action into your video to make it more effective? Relax! Our e-book has all the tips, stats and ideas you need.